During two of the three nights on Shetland I joined the local ringing team on their routine storm-petrel sessions. 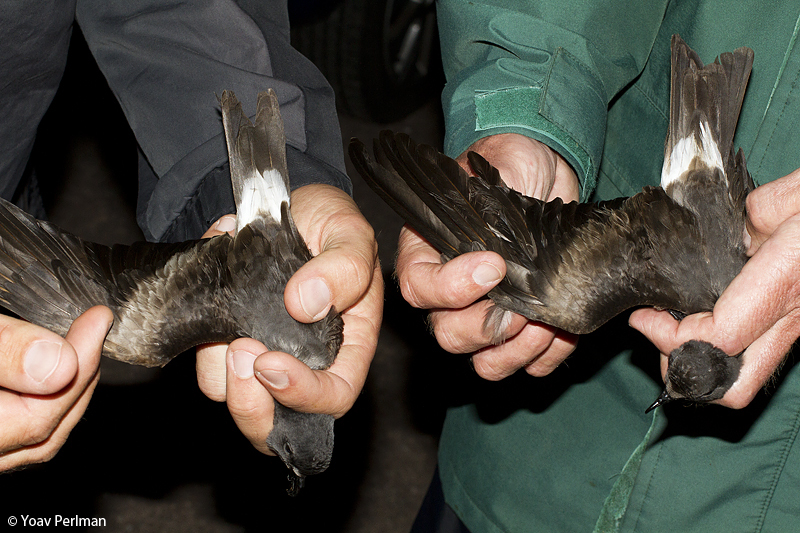 I was very keen to join because the only previous stormie session I took part in (Spurn August 2008) was minimal with only two birds. 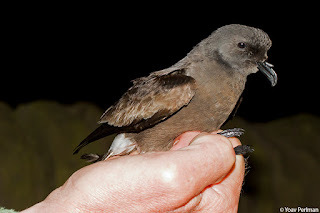 So I really wanted to participate in a busy Shetland night session. 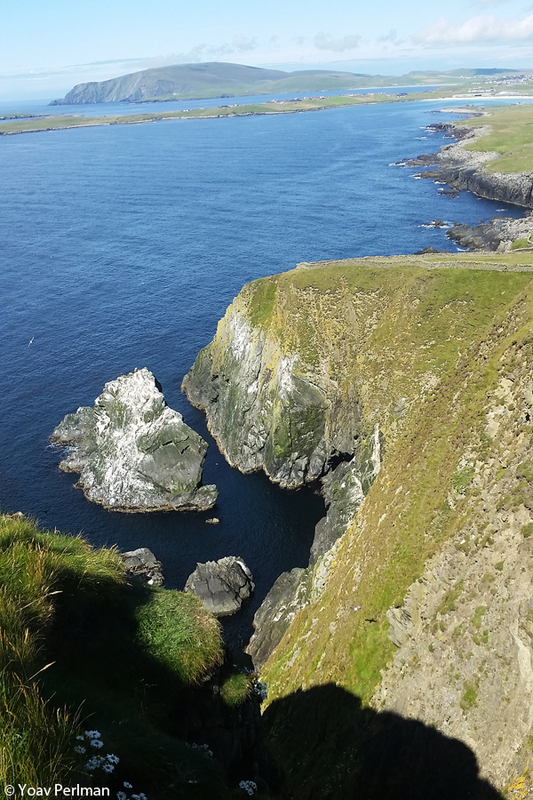 We worked in RSPB Sumburgh Head, with all necessary permits obtained. The A-Team included Roger, Phil, Will and Paul among some others. Both nights were successsful: first night produced about 140 European Storm-petrels, and the second night about 170. Nights were still pretty short (trapping between midnight and 0300 only) so it was busy and we worked hard. 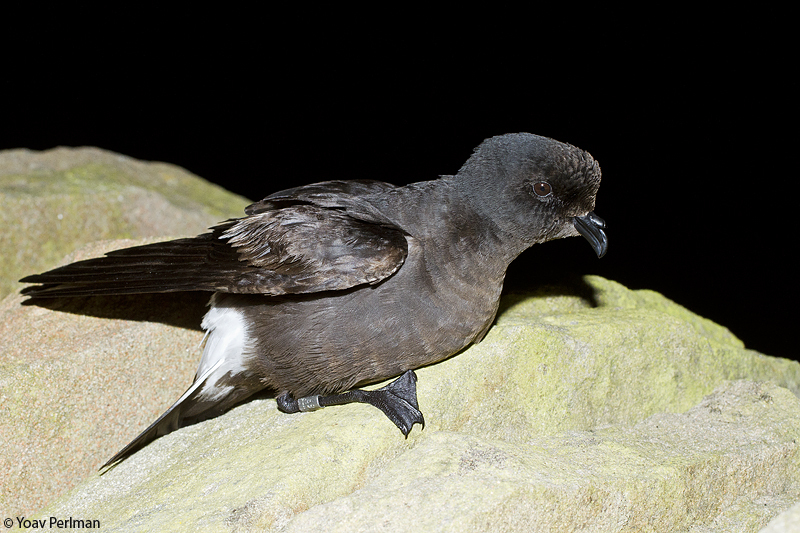 Most of these birds are non-breeders. 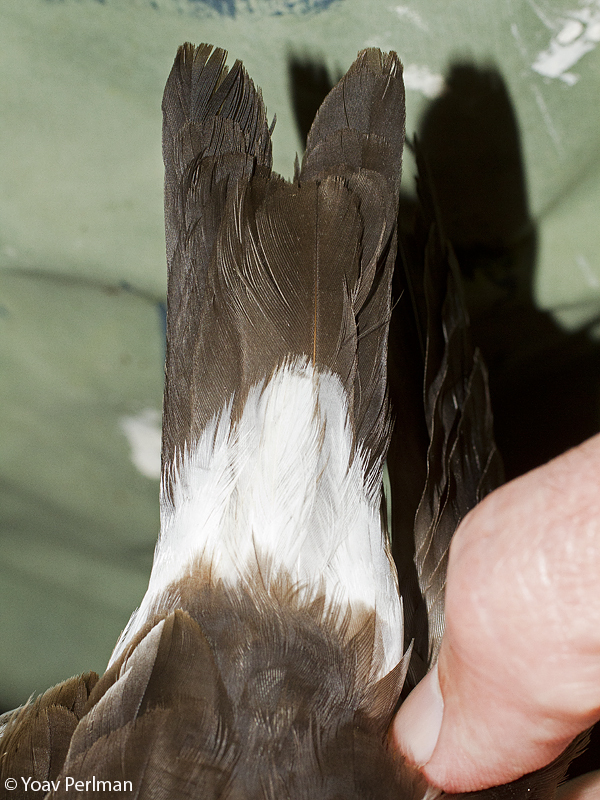 Interestingly, there was a huge turnover of birds with only two birds retrapped from previous sessions this season. 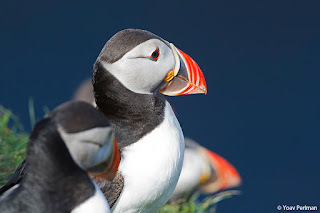 They are lovely wee birds. 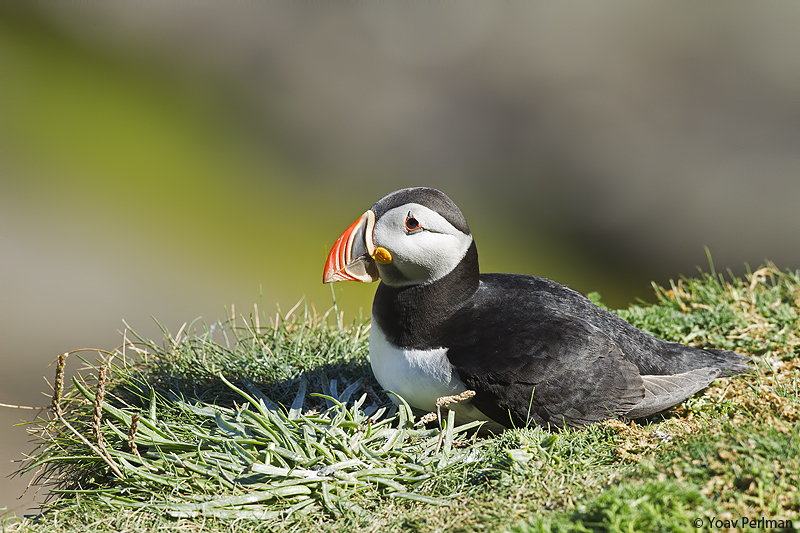 Little is known about ageing them. I tried to make some sense of the variation in different patterns - more on this to follow. There was some variety too. 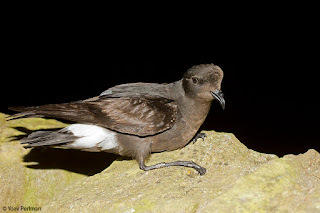 On the first night Will heard a Swinhoe's Storm-petrel, but we never caught it. 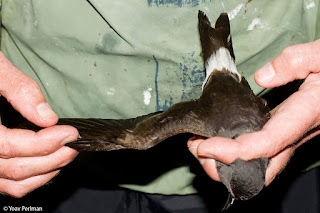 I really enjoyed handling Leach's Storm-petrels. On the first night we caught two, and on the second night another six (equal to Shetland record). They are super birds. So large and powerful compared to the toy Euro Stormies. I paid a day visit to Sumburgh Head with the family too. 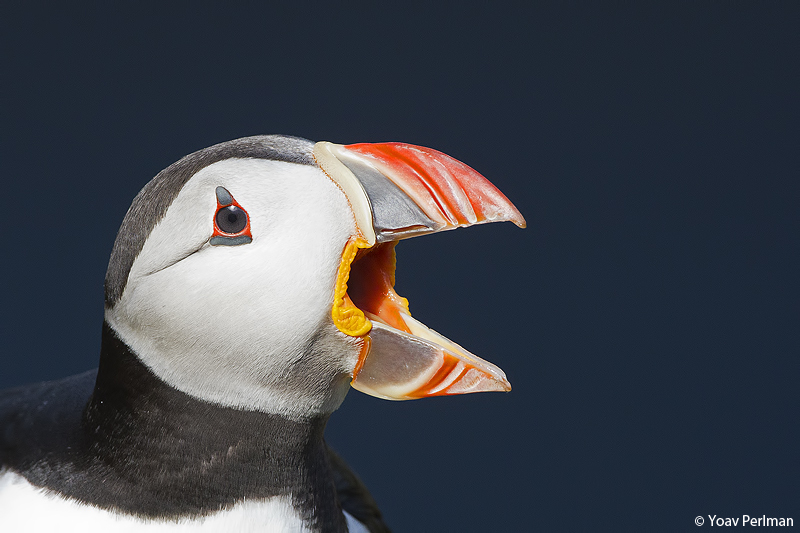 Light was harsh but Puffins are always pretty. Great to see so many from up-close.